HER unmistakable sultry features opened doors for her to participate in some of the prestigious fashion shows in town and she is simply doing what she knows best; scoring marks on the catwalk. Adjidah Ng’andu, 17, has since completing school in 2013 emerged as first runner-up in the Miss Freedom Zambia beauty pageant and was second runner-up in Miss Red Carpet as well as Miss Teen Zambia. The upcoming model is currently participating in various fashion shows such as the prestigious Euro-Zambia Fashion Show held in Lusaka recently. She started modelling way back in school when she participated in the Miss Summer pageant during her ninth grade. 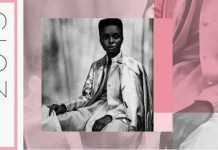 Adjidah says her current achievements were a stepping-stone to greater achievements in the fashion industry. She is determined to make it and will unleash her potential to make her dream come true. “Apart from participating in beauty pageants, I will be taking part in the Beliza Model Fashion show scheduled for May 31. My [modelling] experience has been amazing and it has also helped me appreciate myself more,” she says. Adjidah said the fashion show will bring out unique designs depicting the diversity and beauty of Zambian culture. Registered under Pink Diamond International Model Academy, Ng’andu’s unwavering zeal for fashion, modelling and helping the needy is amazing. She developed deep interest in modelling while working alongside Miss Freedom Zambia, Natasha Mapulanga, as she carried out charitable duties. Drawing inspiration from American television personality and former model, Tyra Banks, Adjidah is determined to work hard and realise her dreams.